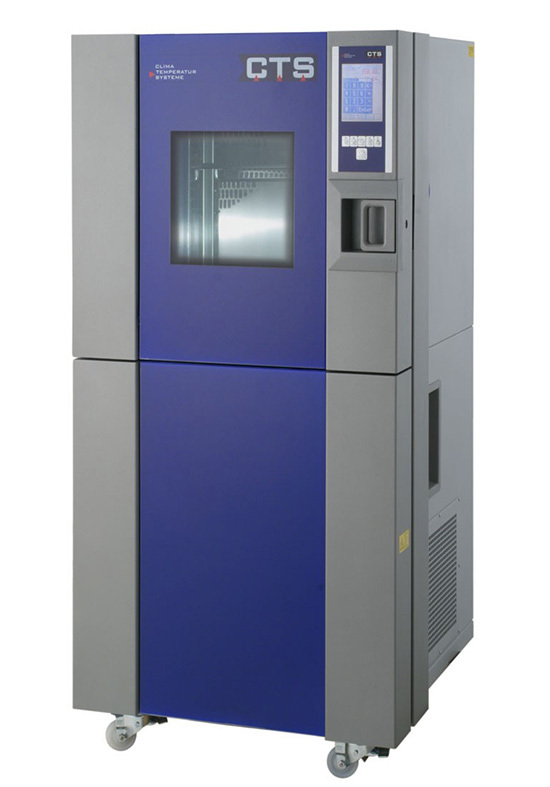 In addition to the advantages of our CTS Temperature Test Chambers, CTS climatic test cabinets also offer you the option of including humidity as a stress factor in your simulation tests. Humidity is measured by a capacitive humidity sensor giving high accuracy, long-term stability and low maintenance requirements. CTS places great value on the quality detailed throughout all its system components. CTS rigorously use only the best supplier components such as compressors and solenoid valves. This results in significant advantages for you in long-term, malfunction-free operation to ensuring that you do not lose valuable testing time. Panoramic window, multiple glazed, sized 570 x 710 mm; for units ≥ 200 litre.